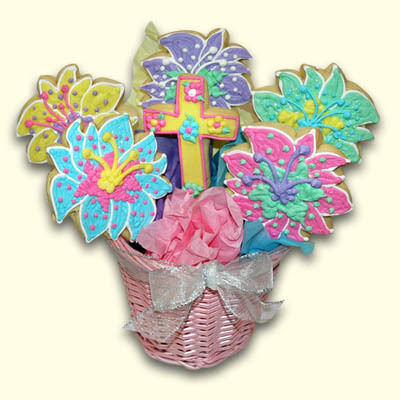 Enjoy one our scrumptious sugar cookies at any baptism, Easter Sunday, christening, confirmation, or any other celebration. 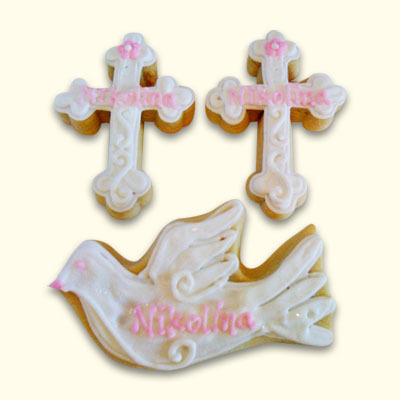 Includes a personalized name or saying on each cookie but must be under 25 characters. Select any color icing as background, border and writing. Wrapped individually with any color ribbon.